I’ve waited a year to cross this item off of my list. It has been on there since the beginning. However, as they say, timing is everything. I could have jumped into a frigid lake alone at any time, but like most bad decisions, I thought I’d have a lot more fun doing this task with a group of people. 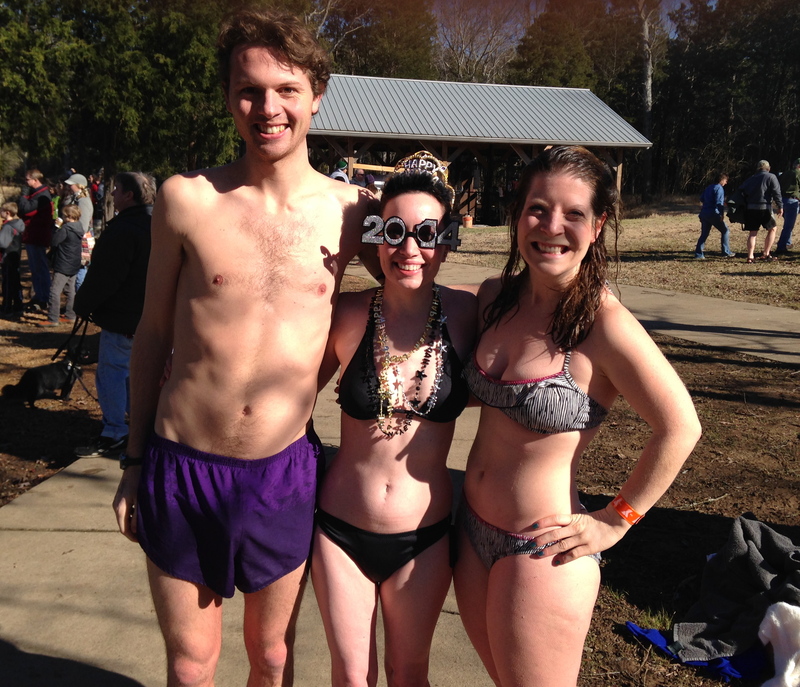 Every year the YMCA of Middle Tennessee hosts a Polar Bear Plunge at Percy Priest Lake to raise money for Camp Widjiwagan, so I decided to join in to celebrate the new year. In addition to the few hundred other crazy people there, my friend Kimi and my new friends Vance and Liz joined in the fun. The water and air temperature were both 48 degrees. While that does not sound cold, 48 degree water is absolutely frigid. I forgot to bring shoes with me, so when it was time for the plunge I slowly and carefully made by way down to the water. The shore was mainly rocks, so it made for a very painful and slippery journey. The pain of the rocks beneath my feet didn’t last long because as soon as I hit the water everything went numb. It felt like being submerged in ice water. I waded out sans shoes as far as I could go until the rocks got too slick for my bare feet. 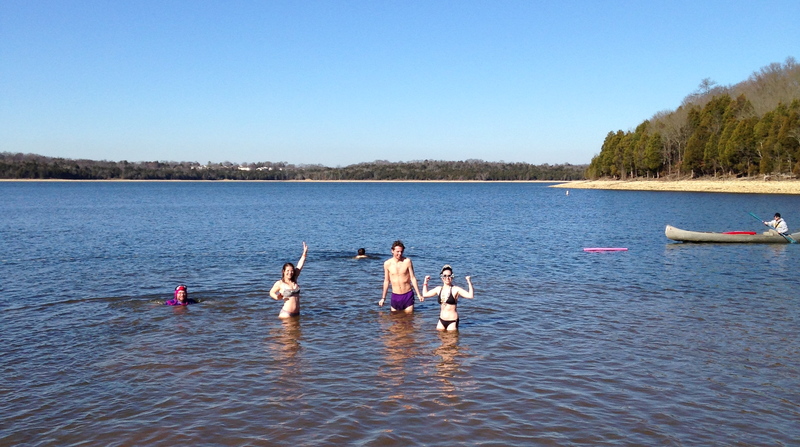 Not wanting to miss out on the experience, I dipped down to submerge myself up to my neck in the wintery water. When we exited the water the air felt tropical by comparison. My body was so happy to be out of the water that I wasn’t cold at all. It was this post-plunge euphoria that made it seem like a good idea to take a second dip. I borrowed Kimi’s shoes and headed back to the lake. Round two was more successful than the first trip for distance, but I swear the water got colder in the few minutes in between. My legs turned bright red and I my entire body was numb. After our dips we bundled back up, put on slightly more appropriate clothing, and enjoyed some delicious hot chocolate. The local news stations and newspaper came out to capture the madness. Check out the Tennessean‘s coverage of the event, featuring yours truly. After the plunge Vance and Liz took us to Pupuseria Salvadorena for pupusas and horchata. 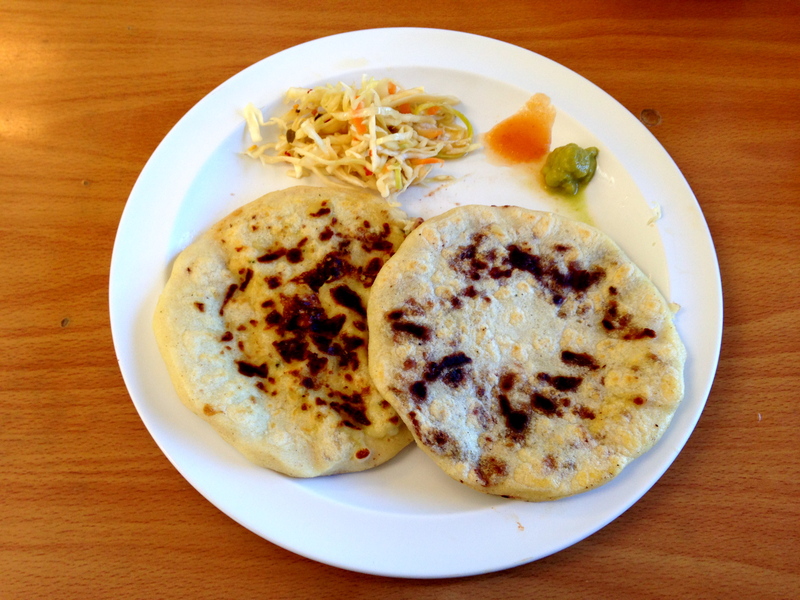 Pupusas are like Salvadoran pancakes (made with a thick soft corn tortilla) with savory filings. I tried frijoles con queso (beans and cheese) and queso con loroco (cheese with a Central American flower). The pupusas were absolutely delicious. It’s really hard to describe the flavor. From the description, you’d think it would taste like a fluffy quesadilla, but it’s quite different than anything I’ve had before. I am a little bit obsessed with them now, and will definitely take my friends to try them too. I may even attempt to make them myself. 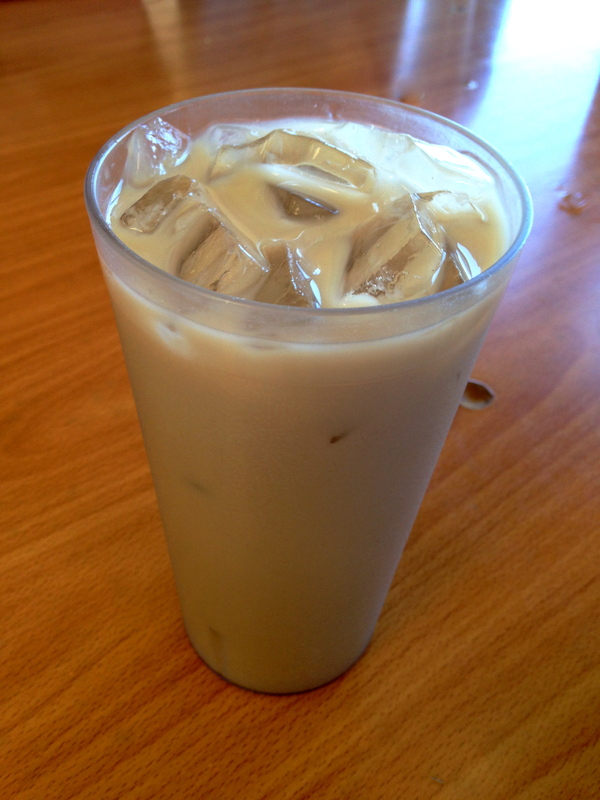 With the pupusas we had yummy glasses of horchata, a milky and spicy dessert-like beverage. It reminded me a bit of eggnog, but not quite as thick. Horchata can be made several different ways, but this version tasted like it had some sort of milk, cinnamon, nutmeg, and vanilla. After the plunge and breakfast it was unanimous that we’ve created a New Years tradition: Polar bear plunge followed by pupusas and horchata! My fearless friend!!! Haha, love it! That video of you on the Tennessean was so cute too. Can’t wait to see you tomorrow! 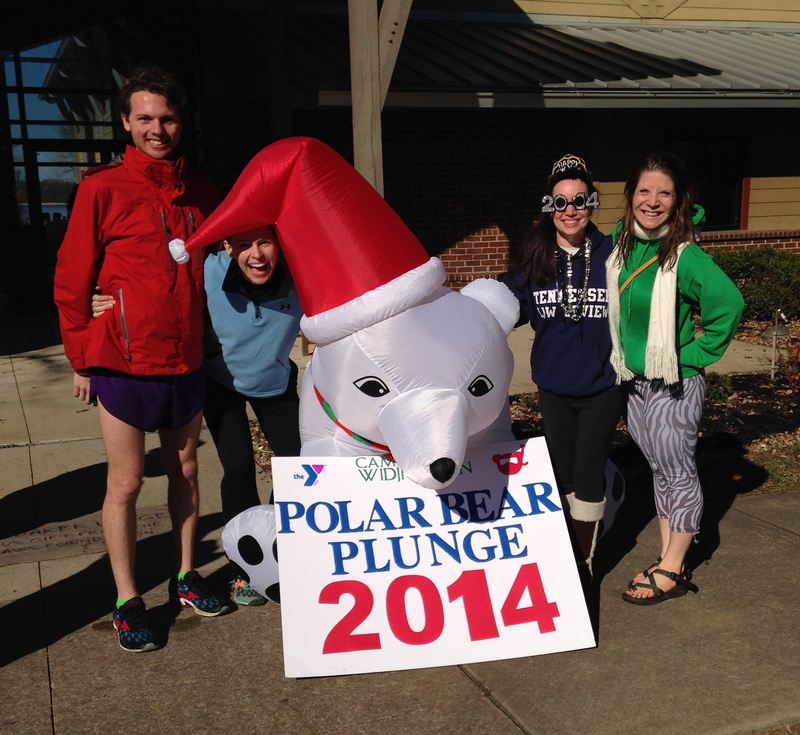 Here’s what a real polar plunge looks like. Water at freezing and snow on the beach. I love it! Sadly, we don’t get a lot of that in Tennessee, but I am up for an icy dive any time!